This timeless classic deserves to be recreated true to the original workmanship and attention to detail. M-Wing is committed to this standard of quality; our turnkey cars will replicate this standard. We are in the process of refining and capturing the production process with photography and video. Our intention is to show our process on this site, starting with the chassis and finishing with the paint and detailing. Turnkey cars produced by M-Wing will have many options, most which can be chosen by you. 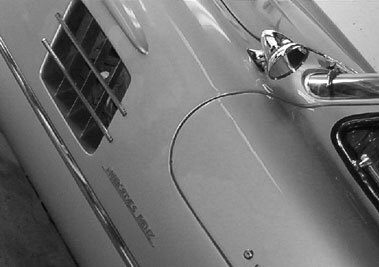 Your choice of engines, color, interior, and even a recreation of the luggage sets offered with the original gullwing. Wheel choices are limited only by your budget and imagination. We will, however, ask that you remain faithful to the original as much as possible.